Porsche Cayenne Boot Space, Size, Seats | What Car? The Cayenne is a big SUV, so it comes as no surprise to find that there’s plenty of room for the loftiest of adults. Even with a space-sucking panoramic roof fitted, there’s ample head room and the seat goes back a fair bit to accommodate long legs. Width, too, is no issue; we doubt any elbows will meet on the wide front armrest. The front doors have generously sized pockets and there’s a reasonable amount of storage space under the front armrest. There are enough other cubbies to swallow a selection of odds and ends, too. It may not be quite as long as the Audi Q7, but you’d have to be exceedingly tall to have any issues with the Cayenne’s rear seats. Even behind a six-feet-tall driver, you’re unlikely to find your knees pressed up against their seat. Head room is good, although the exceptionally tall might find themselves a bit too close to the ceiling if the panoramic roof is fitted. There’s enough space for three to sit across the rear bench, but the centre seat is flat and perches you higher than the outer ones. The rear door bins aren’t as big as the ones up front, but you can still get a 500ml bottle of water in. There’s also an armrest, containing a pair of cupholders, that folds down out of the rear bench. 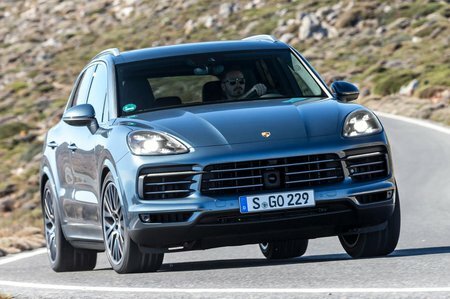 Like its bigger brother the Q7, the Cayenne comes as standard with rear seats that can be slid forward and backwards to prioritise rear space or boot volume. You can also vary the angle of the backrest to improve comfort in the back, while the seat splits in three parts. 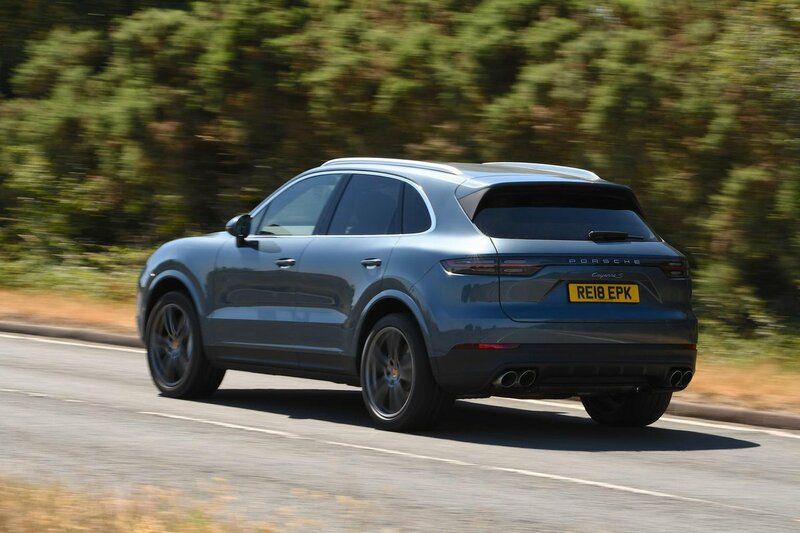 It may be a little shorter, but the Cayenne can match the Q7’s boot volume when that car is in five-seat mode. You’ll have no issue squeezing in enough suitcases for a week’s holiday for five. 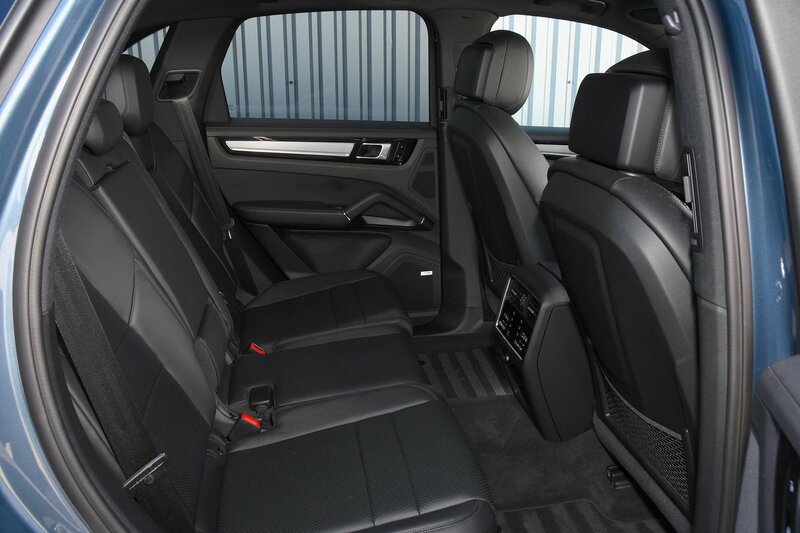 The Q7’s extra length does mean it’s more spacious when the seats are folded down, but you’ll still get plenty of flatpack furniture in the Cayenne’s load area. The Cayenne scores points by having a square load area, although there is a bit of a load lip to lift luggage over. Go for the E-Hybrid model and you’ll lose around 100 litres of space because of the battery pack, but there should still be enough space for most families.